# PCN-INFO / THERE IS NOTHING TO EXPECT FROM WESTERN BOURGEOIS PARLIAMENTARIANISM. GREEKS OF SYRIZA HAVE CAPITULATED BEFORE BERLIN, BRUSSELS AND THE ECB OF FRANKFORT! SYRIZA, including its flamboyant minister of finance at very rock style Varoufakis (*), would break the EU hut. The « French Tsipras » Mélenchon, a former PS minister, former Senator, MEP (all his life handsomely funded by parliamentarianism, its privileges and sinecures), HE contents himself with participating shamefully in Hollande’s de facto majority. At the other extreme the FN, IT will change the water of Brussels in French wine. All this nonsense! There is nothing to expect neither from bourgeois parliamentarism – false oligarchic democracy where politics and media are locked – nor from the extremes of THE system, on its right or its left, entrusted by locking the dispute. Political fraud (or political procurer system) at the expense of voters cuckolded and at the benefit of those who organize them (see the fortune of the Le Pen clan). You have to study the structure of revolutionary parties in the Nineteenth Century, the long 19th century from 1792 (First Paris Commune) to 1917 (Russian revolutions of February and October). There are eight decades between the First Paris Commune, that of Robespierre, and the Second in 1871. And 125 years between the first Russian Jacobins (Jacobinism is the matrix of Leninism) and the victory of the Bolshevik Party in October 1917. There are periods of political stagnation, maturation and ideological development (Mazzini, Marx, Engels, etc.). They must always precede the revolution. And meanwhile reaction and imperialism triumph. But never a revolution has emerged from a parliament! It is the same in the European Union, less « European » and more and more Americanized. 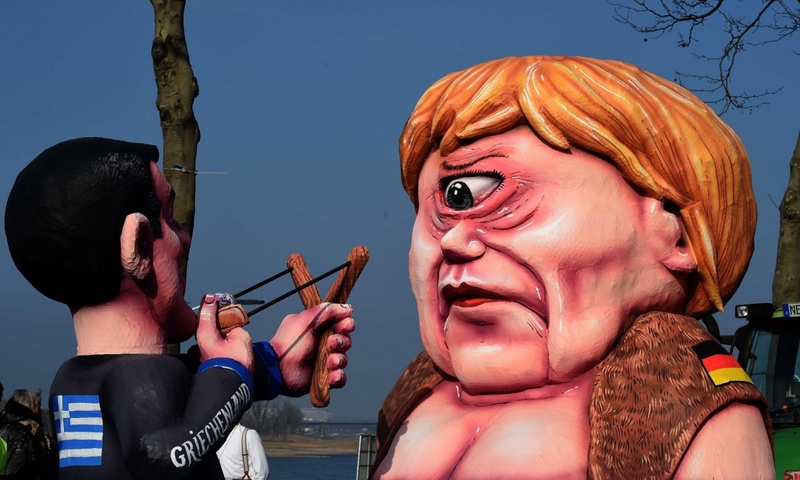 (*) What is the proportion of politician comedy to distract and deceive the Greek and German voters, who are frightened at little cost in this? This entry was posted in * English, * LM/ Editoriaux pour PCN-INFO/ Leaders for PCN-NCP INFO and tagged Athens, Berlin, Bolshevik Party, Engels, Germany, imperialism, Jacobinism, Leninism, Luc MICHEL, Marx, Mazzini, MEDD-RCM, Mélenchon, Merkel, parliamentarism, PCN, PCN-NCP, PCN-SPO, Syriza, Tsipras, urogroup, Varoufakis. Bookmark the permalink.